How to apply – by postcard, write in name, postal code address and telephone number. ※Tickets will be posted after the strict lottery. 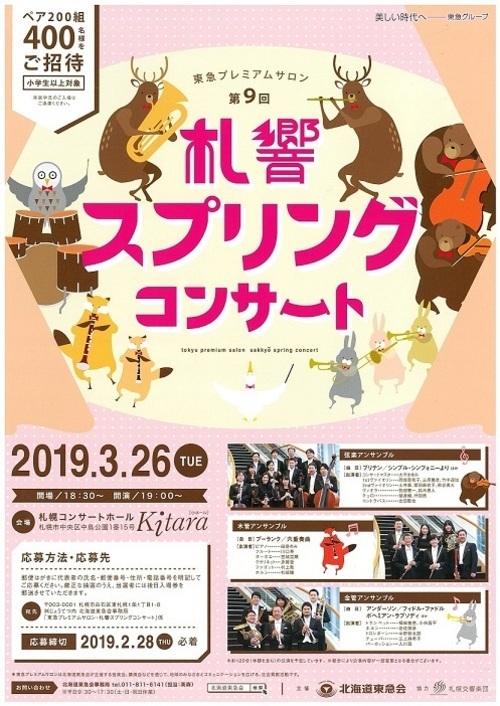 Tokyu Premium Salon aims to present a good communication with the local citizens through music concerts sponsored by Hokkaido Tokyu-kai, as one of its social contribution activities.